Property for sale ads in Gold Coast. Thank you for visiting our free advertising website Property for sale, Gold Coast section. We provide high response free classifieds and free advertisement. Use our online free Property for sale classifieds placement system to find, list, offer Property for sale online! We at My House Design, offers an extensive portfolio of house designs in Australia, our modern yet elegant home plans and packages are perfect for those, who are looking to create unmatched display homes in Australia. We have a team of professionals, having the right set of skills and the experience for best home renovation solutions. Gold coast resort properties offering all types of properties in Gold coast. Find here best real estate and browse listings of properties for rent in Gold Coast. Visit us http://goldcoastresortproperties.com.au/ Office Adress :- P O Box 7073 Gold Coast Mail Centre 9726 Qld Australia Email id :- gcrp@iprimus. Collins House Realty helps in buying new homes in Queensland, houses and land in Gold Coast, properties in Oxenford and Highrise apartments in Huntington. Website : http://www.collinshouserealty.com.au/ Phone No : 0434 909 893. SOUTH OF LOMBOK , ABSOLUTE DREAMBEACH Land - Lombok IDR 85, 000, 000 /are ( negotiable price ). LOMBOK: MEANG , SOUTH OF LOMBOK , ABSOLUTE DREAMBEACH , WHITE SAND , ACCESS ROAD , 2.4 HEKTARE THIS STUNNING PROPERTY IS LOCATED IN MEANG , NEXT TO PENGANTAP IN SOUTH LOMBOK ! GREAT VIEWS AND WHITE POWDERY SAND MAKE THIS PROPERTY A JEWEL !PERFECT FOR VILLA OR HOTEL DEVELOPMENT !ONE OF THE BEST BEACHES IN LOMBOK AT AN UNBELIEVABLE PRICE ! FREEHOLD CERTIFICATE , PRICE PER ARE 85 MiLLiON RUPIAH ( 100 SQM ) TOTAL PRiCE FOR 2, 4 HEKTARE IDR 20. 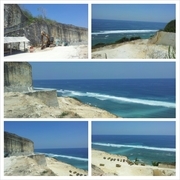 LAND 23 HECTARE ( 230.000 sqm ) : BALi LAND BEACH FRONT FOR RENT 23 HECTARE ( 230 000 sqm ) , LOCATiON SOUTH OF BALi . •	10 METERS FRONT OF BANYAN TREE 5 STAR HOTEL RESORT . •	LAND ON THE TOP HiLL . •	30 MiNUTE FROM AIRPORT INTERNATiONAL NGURAH RAi BALi . Nice Comfortable Home In New Zealand Now Just $89, 000 AUD This is an urgent sale as we must return to Australia. Want more photos email me or go to my website www.mycashcreationclub, com Also this is a “Walk In Walk Out” situation all the furniture kitchen ware, even the car ( 2001 Mitsubishi Elite Wagon in good order is reliable, clean & tidy and ready to go. Virginia storage sheds- Choose the finest quality of Virginia storage sheds only from Good's Garden Sheds. We offer the various materials used in the construction of garden storage sheds at the most reliable price..
Onsite van & annexe Caravan with tropical roof , annexe solid built In van bedroom, kitchen , eating area Anenexe room, good size shover , toilet Has shed were the laundry area is with washing Mashine, patio etc.Reasently painted in/out Located on Gold Coast in Family run Caravan park Near the banks. 2 bed 2 bath unit. Biggera Waters. $680 per week. Owner Seller. No deposit. Linda 0404450634. Rent try Buy. $700p/w Tallai. Owner seller. No banks. 4bed 2bath. Dual living. Half acre in Tallai. Linda 0404450634. •	Prestige Tropical Oasis with Privacy – 2 Businesses from Home or Extended Families •	2 Waterfalls - One you can hear from all rooms 50% of the year round other is a short walk •	Sound Proof no Road or Neighbor Noise at all (sleep like Kings and Queens Top of the Hill) •	Built by a developer with a Lamborghini parked in the car port with no shortage of cash •	130meters long sealed winding driveway lined with established Fig tress and automated stainless steal lighting (Best Mansion coming home experience) fits 12 Car spaces •	Established Gardens throughout were set up as a Botanical Gardens with fully automated Weather sensing phone lines to weather stations sprinkler systems in place. Australia free ads for Property for sale, Gold Coast, Property for sale free ads Gold Coast, Property for sale for sale Gold Coast, Property for sale to buy in Gold Coast. Find on this page free classifieds for Property for sale in Gold Coast. This listing includes classifieds for sale and to buy in Gold Coast. FREEADSAustralia Gold Coast offers you a platform to post free advertisements or classifieds for Property for sale in Gold Coast. FREEADSAustralia helps you search, find buy, sell, rent or hire in various categories like apartments, goods for sale, local services, cars , jobs and many more in Gold Coast. If you posted an advertisement in category Property for sale of FREEADSAustralia Gold Coast before please use Edit my ads button to change or cancel your ad. Property for sale Gold Coast ads Gold Coast, Property for sale classifieds Gold Coast, Property for sale free ads Gold Coast, ads for sale Gold Coast, ads to buy Gold Coast, FREEADSAustralia. Find here ads for sale, to buy and rent in Gold Coast. Goods for sale in Gold Coast, vehicles for sale in Gold Coast, Gold Coast real estate for sale, Gold Coast property for sale, property for rent in Gold Coast, business ads in Gold Coast, Gold Coast business classifieds, services in Gold Coast, Gold Coast services ads, jobs in Gold Coast, pets for sale in Gold Coast, Gold Coast dating, Gold Coast cars for sale.